Lavone Nichols takes #elegance to another level and has paved the way for other women. Submerged in a musically inclined family it was not a surprise that the energetic five year old Lavonne could handle singing church solos all by herself. However, what was surprising was her ability to feel and convey emotions through her big voice. With passion and conviction, Lavonne progressed into singing at school talent shows, local events, pageants and local churches. She began to truly love the impact of music and how spreading the Gospel was changing lives. Lavonne quickly became a praise & worship leader at her local church and developed a sound all her own. 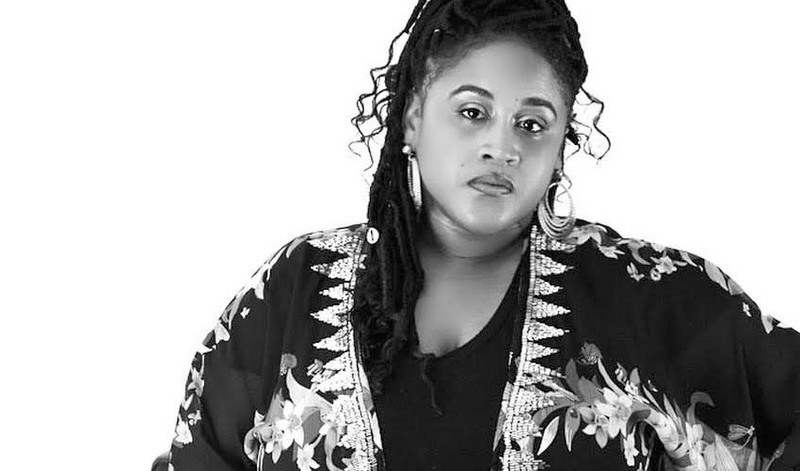 Not only did she have a passion for gospel music but for learning different genres, so she could be a diverse singer which allowed her to train with some of South Jersey’s and Philadelphia’s most sought after vocal coaches. Lavonne has had the opportunity to sing for various local recording artist; contributing her vocals on their albums and at concerts. Lavonne learned to maintain humility, professionalism and to remain personable with everyone she encountered. This allowed her to open up for Gloria Gaynor at the world famous Apollo Theater. As well sing in Nashville at a Stellar Award weekend event, Radio One’s One Love Cruise ” New Artist Spotlight” in addition to conferences, community events and singing before elected officials. Lavonne was honored to participate in the Stellar Award Music Video “Nobody Greater” by Vashawn Mitchell. Lavonne was encouraged by many to combine her love for music with acting, which has opened many doors. She has graced the stages of many theaters having a lead role in It’s your season Cinderella as Cinderella, Ragtime and the South Jersey debut of The Color Purple playing Doris in which she won The Julie award for best featured person in a musical. Ms. Nichols can be seen alongside many stars participating in the movie The Benefactor with Richard Gere, Creed and Silver Linings Playbook to name a few. She has also had the privilege of having three appearances on The Doctor Oz show. This gogetter has taken her talents behind the camera starting her own YouTube show entitled the Lavonne Nichols Show as well as interviewing several celebrities & organizations on radio and television. Stay tuned for her new radio show that will begin airing in late March 2017. Even so, what Lavonne is most proud of is her community outreach efforts. Her parents were very influential in showing her that all people really need is love, encouragement and God. Nevertheless, Lavonne’s own story of overcoming trials and surviving some of the toughest situations has given her the drive to be there for others. Lavonne has made it her mission to not only show love through her talents but more importantly show love through her giving. Lavonne is embarking on a movement to bring encouragement to her community, and anyone whom she has the ability to reach. It is her heart’s desire to let people, especially women know that they are loved. Lavonne wants people to know that no matter what has taken place in their lives, there is still a greater purpose and a plan for them. Lavonne is establishing her own organization that will provide people with a “Morning of encouragement” by receiving toiletries, clothes, food and resources. Lavonne is a firm believer that if we just show the love God can put the pieces of someone’s life back together, restore them and put them on a path to greatness. Lavonne is a graduate of Rutgers University with Bachelors in Liberal Studies and a minor in Childhood Studies. She also obtained an associate’s degree at Camden County College in Early-Childhood Education. Why I Refuse to Make Any More New Year’s Resolutions!